I have a thing for parrots. they come in pretty colours and I like pretty colours. I spent my childhood in Australia where flocks of bright coloured birds were a common sight. Budgies weren’t something you kept in a cage, they were in the trees outside along with pink and grey galahs, kookaburras and lorikeets. 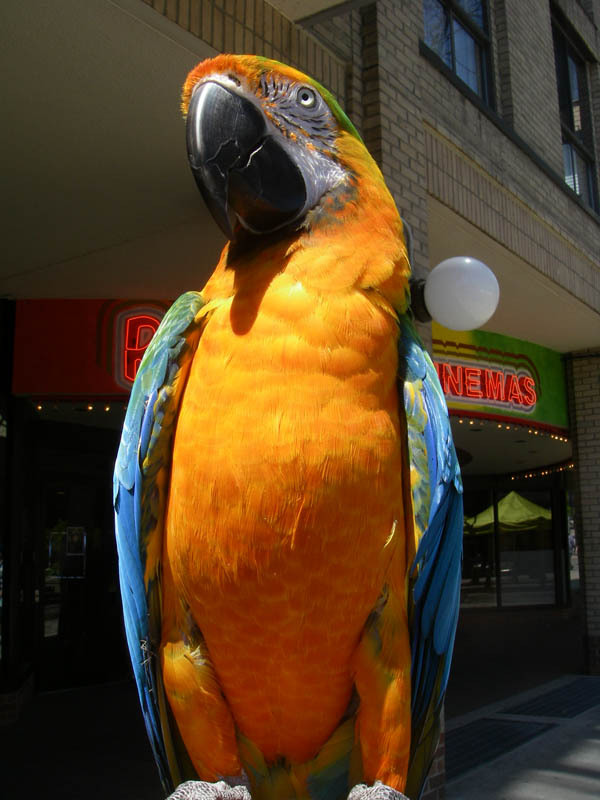 This is Zoe, a Catalina Macaw. Isn’t she gorgeous? Zoe was at the movie theatre the other day, it was the opening day for Pirates of the Caribbean. Of course, pirates must have a parrot, although I don’t remember Captain Jack Sparrow having a parrot. 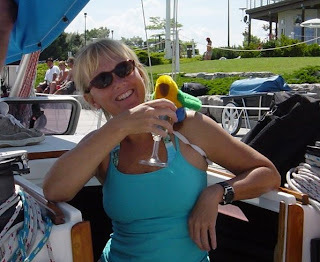 While I am not a pirate I am a sailorgirl and therefore I should have a parrot. Have you met Bill, the third member of the crew on Forbidden Planet? Expect to see the new Macaw collection of Sailorgirl Jewelry soon.